SALT LAKE CITY June 1, 2016 — Utah Attorney General Sean Reyes applauds a decision on the Waters of the United States (WOTUS) from the U.S. Supreme Court on Tuesday. The ruling allows Minnesota peat miners to challenge an Army Corps of Engineers’ determination that their business sits on federal wetland, even though it is more than 120 river miles from the nearest navigable waterway. In a related case, Utah is one of 21 states challenging the EPA’s new and expanded WOTUS rule. 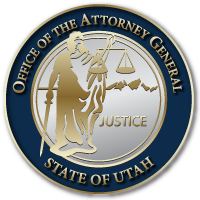 “This week’s U.S. Supreme Court ruling on WOTUS and the Clean Water Act is a victory for Utah citizens,” said Attorney General Reyes. “Everyone benefits when our nation’s highest court restricts the federal government from regulating outside of its authority — and preserves the ability of citizens to challenge overreaching regulatory activity. This decision gives much more protection to individual rights as federal agencies exert increasingly expansive powers. This entry was posted in Archived Posts, Recent Posts and tagged WOTUS on June 20, 2018 .